Blue sapphire is the main Jyotish gemstone related to Saturn. Shani, its Sanskrit name is barren, binding, cold, constant, dry, defensive, hard, nervous and secretive. Wearing an unheated, clean and well cut blue sapphire of at least 1 carats is said to gain self control, stability, and improve finances and savings. 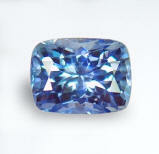 Blue sapphire can be substituted with blue spinel or amethyst of at least 2-3 carats. 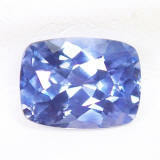 Charming & ethereal, very well cut and clean, unheated, Ceylon blue sapphire. Adorable, unheated, Ceylon blue sapphire from the gems fields of Elahera, Sri Lanka. All of our sapphires (or let's say a good 99%) are unheated and untreated. They are without any doubt the best value you will find anywhere, because we just hand pick the very best in terms of flawless clarity, perfect cut and an undeniably sweet feeling. Very serene unheated blue this one with a very bright, medium, "cornflower" blue color that is just lovely. 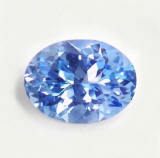 Sweet & velvety, very pleasing blue color, unheated, Ceylon blue sapphire. A very sweet, no heat, Ceylon blue sapphire here, mined in Marapana, cut & polished in Ratnapura, Sri Lanka. 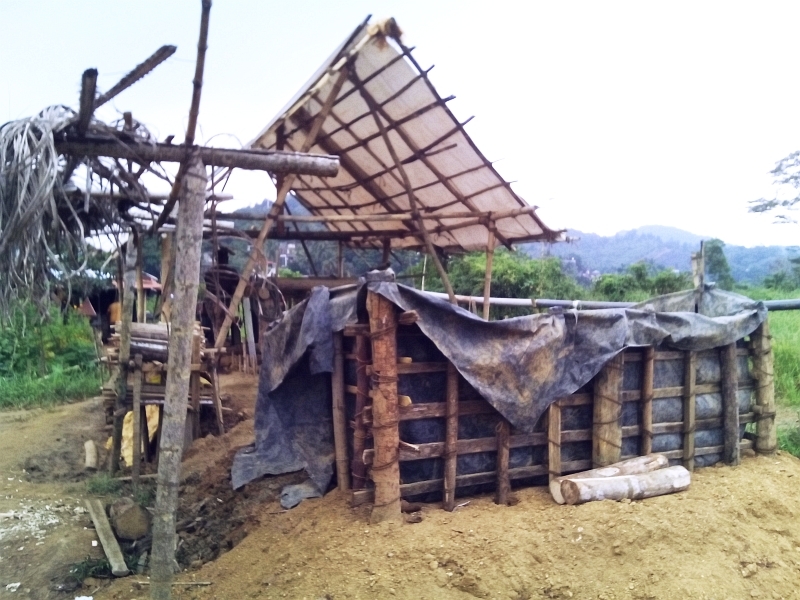 Marapana is a locality, on the outskirt of Ratnapura, in the fable island of Sri Lanka (known also as Ceylon), where there is the highest concentration of gem pits and gem mining operations of all Sri Lanka. Real nice, pure 'cornflower" blue with a slightly velvety feel. Clean, well cut and completely natural, as always. Definitely auspicious. Exuding serenity, scintillating in joyfulness, very well cut, unheated, Ceylon blue sapphire. A scintillating, light blue sapphire hailing from the gem fields of Elahera, Sri Lanka. Light, "powder" blue color, yes, completely natural with no treatment, yes, very lustrous & flawless, yes, ideal for somebody on a budget that wants to propitiate the favors of Saturn. Usually children are advised to wear light blue colors for Jyotish purposes. Absolutely delightful sapphire. 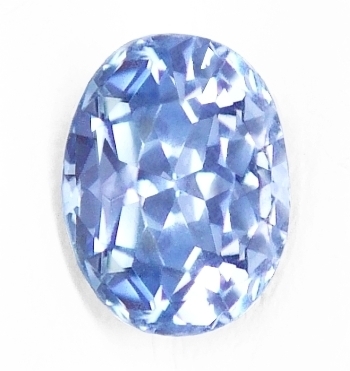 Beautifully colored, awesomely shaped, very clean, unheated, Ceylon blue sapphire. This unheated, Ceylon blue sapphire hails from the gem fields of Nivitigala, Sri Lanka. Needless to say, this is a beautiful blue with a very mystical cut. It is calibrated also for easy setting. You will not be disappointed by this baby, which is priced at old stock value. So, do not hesitate and purchase this and additionally few of our sapphires. You will get some discount as well, if you purchase 2 or more. Serene, very well cut, totally lovely, unheated, Ceylon blue sapphire. A very lovely, unheated, Ceylon blue sapphire, hailing from the gem fields of Nivitigala, Sri Lanka. A classic "antique" cushion with an elongated shape, ideal for some slender fingers. Completely unheated & untreated. A great value, destined to appreciate as time goes by. 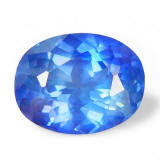 We are the source for well cut, clean and untreated Ceylon sapphires at dealer prices. 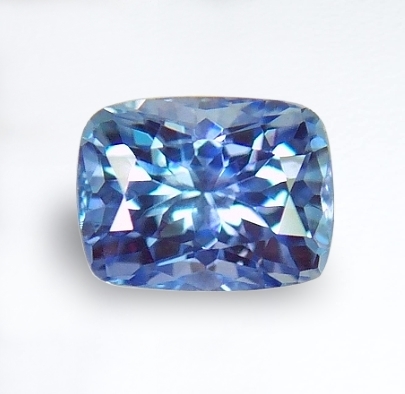 Enticingly delightful, very well cut, unheated, Ceylon blue sapphire. A beautiful, unheated, Ceylon blue sapphire mined, cut & polished in Ratnapura, Sri Lanka. 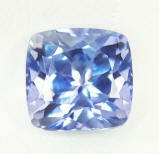 A most gorgeous cutting in this mid cornflower blue, unheated sapphire. 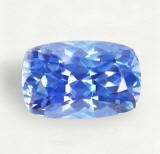 Needless to say, unheated sapphires account only for a mere 2% of all sapphires mined and available in the marketplace. Not only unheated, perfectly cut as well, with flawless clarity and at a price that nobody can beat. Lovable & serene, well cut, pastel blue, unheated, Ceylon blue sapphire. A serene, unheated Ceylon blue with flawless clarity, hailing from the gem fields of Nivitigala, Sri Lanka. Gentle energy due to a light, pastel color, but with finest clarity, this is an ideal, completely natural blue for somebody on a budget or perhaps a child or teenager (that does not need a high carat weight and/or strong colors in Jyotish). 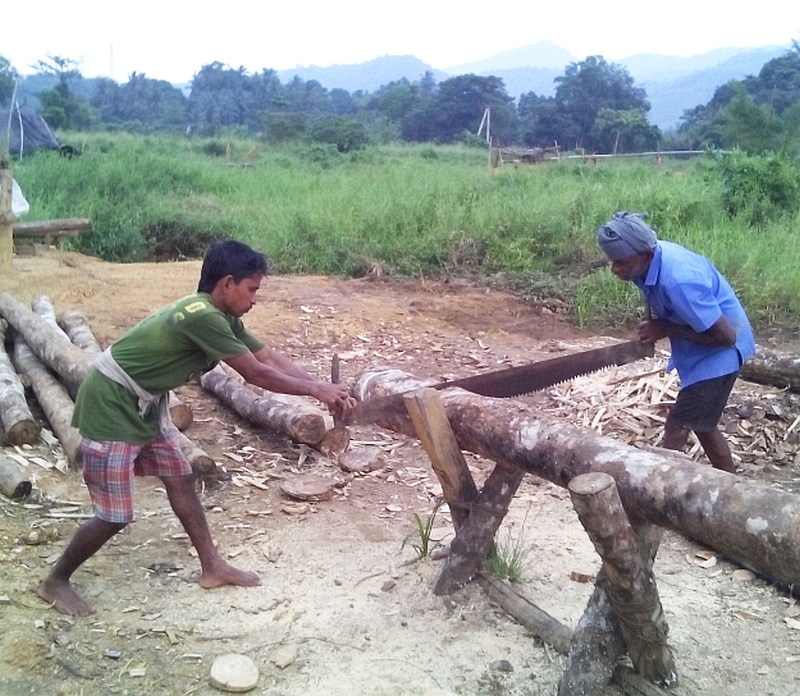 Surely a great price for an appealing & completely natural, without any treatment, Ceylon blue. Icy-cool, super crisp, unheated, platinum-blue, color change, Ceylon sapphire. Another beautiful, unheated Ceylon blue with an unique, signature cut, from the gem fields of Elahera, Sri Lanka. Such a crisp and scintillating, color change, Ceylon medium-light blue, with a most fascinating square, "flower" cushion. The flower pavilion, with its added facets, delivers great light return and exciting luster. Fascinating, perfectly cut, unheated, Ceylon color shift, "cornflower" blue sapphire. 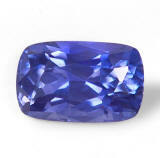 Gorgeously shaped, this unheated, Ceylon blue sapphire is a, medium, intense 'cornflower" blue color, with a slightly violetish undertone in daylight, shifting to a medium blue-violet color in incandescent light, from the gem fields of Pelmadulla, Sri Lanka. What a serene sapphire. Perfectly cut, this gem displays a great luster and overall an undeniable sweet eye appeal. 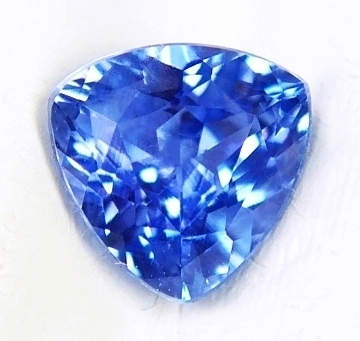 Uniquely beautiful, well shaped, super clean, unheated, Ceylon blue sapphire. Nice color. An uniquely gorgeous, unheated, Ceylon blue sapphire, hailing from the gem fields of Marapana, Just outside Ratnapura, Sri Lanka. The elongated and narrow, antique cushion shape is very well done & rather unique. Real nice purplish "cornflower" blue color, with some color change to dark, "steely" blue-purple in incandescent light. Flawless clarity. 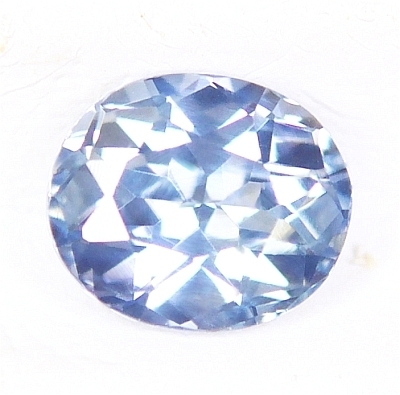 Overall, a nice & unique, unheated Ceylon blue. 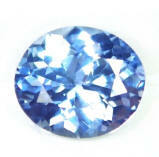 Very charming, perfectly cut and super clean, unheated, Ceylon blue sapphire. A real nice, unheated, Ceylon blue sapphire hailing from the gem fields of Nivitigala, cut and polished in Ratnapura, Sri Lanka. 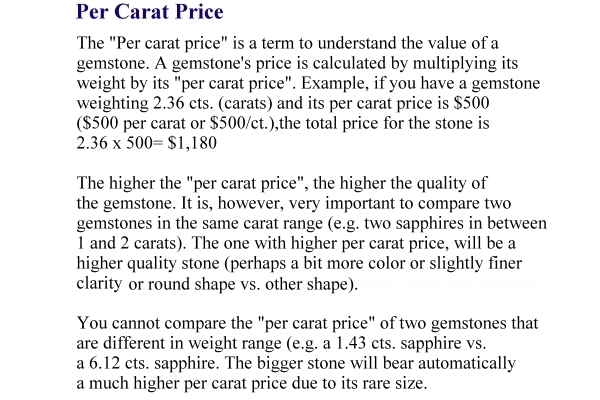 FYI, sapphire is a type2 gemstones, as per GIA clarity grading system, which means an usually included gemstone. These represent fine sapphires with exceptional Jyotish clarity in the corundum kingdom. Do you homework and you will see that our prices are unbeatable.